Agartala: With barely two days left for the 2018 Mizoram Vidhan Sabha election campaign to end, the Bharatiya Janata Party (BJP) has amped up its poll pitch to secure an electoral victory in the only northeastern state where the party or its allies are not in power. Interestingly, the saffron party has entrusted its Tripura unit to woo voters from different constituencies in Mizoram. Tripura chief minister Biplab Kumar Deb — one of the star campaigners for the BJP — has visited Mizoram several times over the past one month. According to a member of the Tripura BJP who was stationed in Mizoram two months ago in the run-up to the polls, the Tripura unit was initially responsible for preparing the groundwork for the polls in 21 Vidhan Sabha segments. However, it is now officially working on five Vidhan Sabha constituencies in Mizoram — Hachhek, Dampa, Mamit, West Tuipui, and Tuichawng. Borrowing a page from Tripura where the party decimated the Communist Party of India (Marxist)-led Left Front government of 25 years in February, BJP leaders in Mizoram are eager to talk about the “change” their party brought in the neighbouring state. “If we can do it in Tripura, we can oust the Congress in Mizoram as well. Unlike CPM, the Congress in Mizoram is in complete disorder and facing huge anti-incumbency,” said Pratima Bhowmik, general secretary of BJP Tripura. 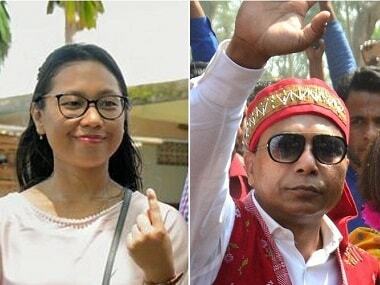 Bhowmik said that she and a few other BJP MLAs are in constant touch with BJP general secretary Ram Madhav, North East Democratic Alliance (NEDA) convenor and Assam's finance minister Himanta Biswa Sarma, who is the party's election in-charge in Mizoram, and Biplab Kumar Deb. Tripura's social welfare minister Santana Chakma has also been one of the leaders actively taking part in the election campaigns. Bhowmik was among the handful of leaders from Tripura chosen to undertake a hectic campaign in Mizoram and woo voters from smaller and marginalised tribes like Bru, Chakma and Hmar. Stationed at Mamit near the interstate border in Mizoram, Bhowmik is currently engaged in wooing nearly 11,232 registered Bru voters staying in six refugee camps in Tripura. The Mizos and Brus have had a tumultuous history of conflict and the 1997 violence razed Mamit district, forcing thousands of Brus, also known as Reangs, to take shelter in Tripura. Over 35,000 Reangs are living in the Kanchanpur makeshift camps in northern Tripura which shares its boundary with Mizoram. Several attempts even by the Ministry of Home Affairs to repatriate them over the past decade have failed. The refugee voters will be eligible to exercise their franchise and choose representatives for three constituencies in Mamit, Kolasib and Lunglei district. Like other years, the Election Commission has made special arrangements allowing them to vote in one polling station at Kanhmun, inside Mizoram. They will be transported to Kanhmun on the morning of 28 November for security purposes and will return to the refugee camps in Tripura on the same day. The minority tribes — which have been fighting long to get recognised and are unhappy with the current state government over alleged prejudice — form a substantial voter base in at least 12 of the 40 Assembly constituencies in Mizoram. The BJP is leaving no stone unturned to benefit from the anti-incumbency and garner support of these refugee voters. On 18 November, Sarma visited some of the refugee camps in Kanchanpur in North Tripura and assured them that his party would intervene to solve their problems. He was scheduled to meet Bhowmik and a group of Bru leaders in Guwahati along with other senior BJP leaders. 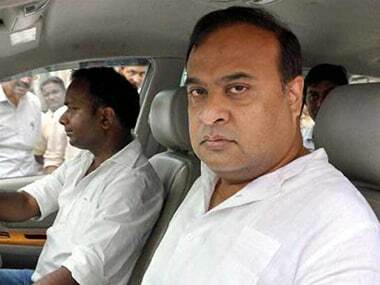 "We attended a meeting in Guwahati on 21 November, during which Himanta Biswa Sarma briefed us about how we should go about our poll preparations,” Bhowmik said. Mizoram Congress spokesperson Maliana said the BJP knows they are outsiders in Mizoram and that the people of Mizoram will not vote for them. 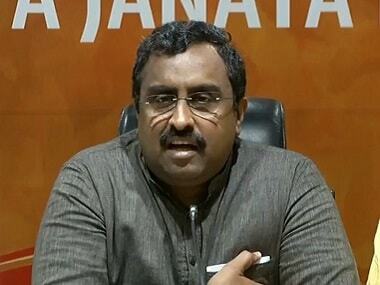 “BJP is bringing leaders from neighbouring states because they want to mobilise voters from tribes like Brus and Chakmas,” he said. The NPP, which was launched in poll-bound Mizoram on 28 September, has a strong presence in Arunachal Pradesh, Manipur, and Meghalaya — where the party formed the government earlier this year after aligning with BJP and other parties. According to sources, the Tripura BJP members working in Mizoram are confident of delivering in seven of the nine Assembly constituencies where it is unofficially engaged in overseeing the party's poll preparations. While several senior leaders in Mizoram have made tall claims of forming the next government in Mizoram, the source added that party president Amit Shah thought differently. “He (Shah) is aware that the party cannot form the next government. However, we are focussing on having a say in the next government formation by capitalising on the Bru and Chakma voters who could be the deciding factors in nine Assembly segments,” the BJP member said on the condition of anonymity. 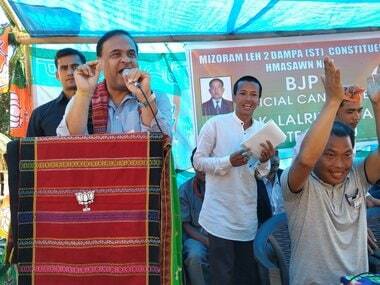 Meanwhile, the Mizoram BJP unit dismissed all criticism over outsiders campaigning in the state. "The practice is not just confined to Mizoram. Wherever and whenever the party needs us, BJP members are there. In fact, I was campaigning for the BJP in Manipur, Tripura, and Meghalaya during the Assembly polls there," said VK Hluna, Mizoram BJP president.